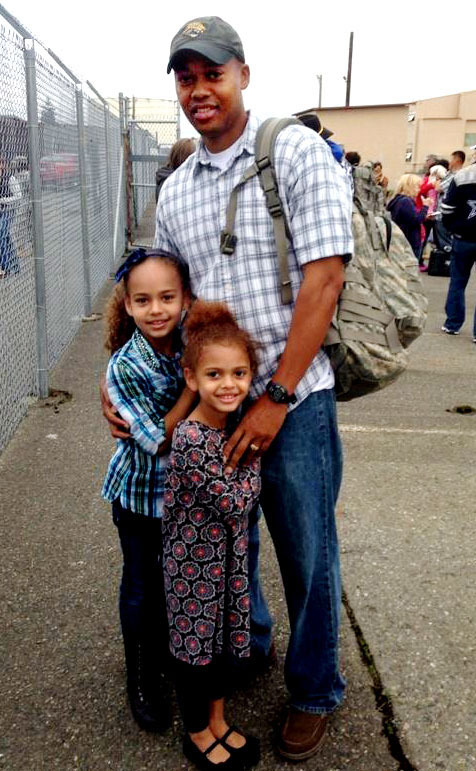 Fred, United States Army, pictured with his two daughters. Employees of the United States federal government can now support Cure JM through the workplace giving Combined Federal Campaign. Cure JM’s CFC number is 94746. The CFC workplace giving campaign includes all federal employees: civilian employees, military personnel and postal workers. The campaign season generally runs from September through December each year, but can take place during different times of the year for different departments. During their group's campaign, federal employees will have the opportunity to designate an organization to benefit from their employee contributions. Help us get closer to a cure for Juvenile Myositis! Enter Cure JM’s CFC code, 94746, on your campaign pledge card. Learn more by contacting Cure JM at or (760) 487-1079. DOWNLOAD A FLYER TO DISPLAY AT WORK.